Neil Bach, Leon Morris: One Man’s Fight for Love and Truth (Milton Keynes: Paternoster/Authentic, 2015). 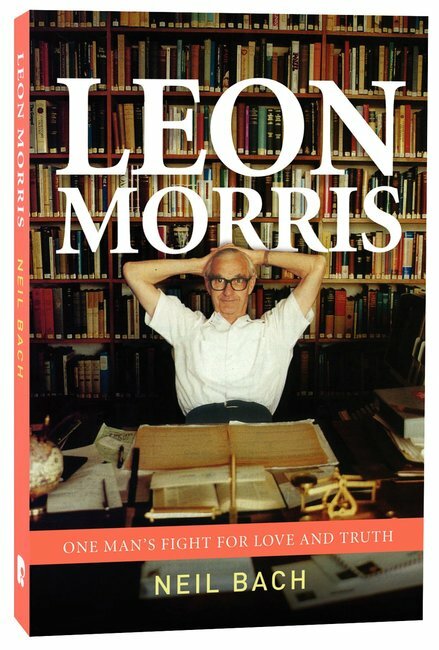 Neil Bach has written a very informative biography of Leon Morris, with a fascinating photograph on the front cover, which I read over the weekend. Of course Leon Morris was not a textual critic, but he was a pioneering evangelical New Testament scholar. He was also Australian (of course), went to Cambridge to do a PhD, and he also (relatively briefly in his case) worked at Tyndale House in Cambridge (other than that our careers diverge, as he wrote 50 books, became extremely wealthy, and was the Principal of a thriving theological college). For most of his career he was associated with Ridley College in Melbourne. But I came across him on only a couple of occasions (since he retired in 1979 and I started sudying theology in 1981). Firstly, I am pretty sure I remember him introducing J.I Packer before a talk Packer gave at an event in Melbourne. Secondly, I went with a group of friends to hear him give three talks on the atonement in a church in Melbourne (direct from a small Greek New Testament). And thirdly, my first teaching stint involved giving lectures on a Thursday morning straight after Leon Morris had finished a lecture. So we passed in the hallway every day for a term. Leon Morris was a prolific writer (50 books published with over 2 million total sales), a very solid lecturer (his lecture notes were much valued when I was a student - in a different institution), a committed evangelical Anglican, and this book does a good job in tracing his history and influence (although “claimed influence” might be a better way to put it as no real attempt is made to document things). I found out why his middle name was “Lamb” (something I had always linked with his interest in the cross and Jesus as the lamb of God - which is quite wrong), I found out how many books he wrote and where he travelled and what talks he gave (those three talks on the atonement I heard must have been given a hundred times, no wonder they were so good). It is to some extent more of a chronicle than anything - a lot of detail comes straight from diaries and other primary sources (boxes and boxes of correspondence etc.). 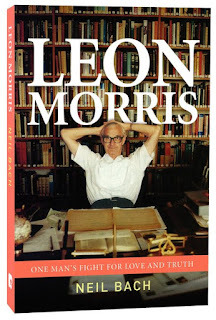 It is a good way to fill in gaps about your knowledge of Leon Morris, and institutions with which he was involved (especially Ridley College, Tyndale House, and evangelical Anglicanism in Australia that is not of a Sydney type). I especially enjoyed reading about Morris’ involvement with Billy Graham crusades in Melbourne (in 1959 and 1969), which had a huge influence on many Christians in Melbourne. I also learnt that he was regarded as a bit of an Americanophile - Leon Morris went to the USA several times, and generally moving quite happily between Fuller, TEDS and Westminster. He was also firmly on the side of the ordination of women to positions of church leadership (which I hadn’t been that conscious of before). Another section which I found very informative was a discussion of a 10 day conference on the Authority of Scripture held in Boston (USA) in 1966 (pp. 136-142), which I knew of but had never read much about. This was primarily a conference of evangelical biblical scholars on the inspiration and authority of Scripture in view of the actual phenomena of Scripture. It is actually part of the backdrop for the later Chicago Conference on Biblical Inerrancy (in 1978). The earlier conference, where biblical scholars predominated, came to no generally agreed conclusion (especially as regards things like “inerrancy”), the proceedings were never published (collectively anyway), and it has had little influence; the later conference, where systematic theologians and church historians predominated, had more influence (if less biblical balance). Leon Morris kept a diary of the conference, and all the papers are held in the Wheaton College library, so there are resources there of interest to historians. There are a couple of useful little gems related to Morris’ very disciplined work habits that are helpful to ponder (5 minute breaks every hour; always completing one page of writing a day; never sending a book to the publisher without it going through at least three drafts; doing the same talk in many different places; keeping a detailed running total of book sales, etc. ), and the centrality of his Greek New Testament to everything he did (praying, teaching, preaching, writing) has always been an encouragement. The book is well written, but verges on the deferential towards its subject - it is certainly not a critical biography. Some criticisms of Morris are voiced, but the reader is quickly either re-assured or moved on. For example, Morris is portrayed as the man who took on Dodd on the atonement and won the argument (e.g. pp. 61-66). But we are also told that Morris only met Dodd once, when they sat next to each other at a dinner during which they barely spoke to each other. The major question as to whether the word study approach in Morris’ fundamental work, The Apostolic Preaching of the Cross, really delivers what is claimed of it, is never even posed. (Speaking personally, I have found the argument in The Cross in the New Testament - showing how important the death of Christ is across the entire NT - a very helpful supplement to the detailed word studies in The Apostolic Preaching of the Cross.) Major problems in handling staff relationships at Ridley (not exactly an unusual occurrence in theological colleges) are mentioned only briefly. The lack of scholarly interaction in many of his books is also raised briefly (by D.A. Carson) but not really probed. Generally friends and colleagues are quoted as proving the quality and influence of Morris’ published works. Critical reviews of his books are never mentioned (despite the very interesting controversy that arose over Morris’ citation techniques in his John commentary, which elicited a response from Morris). It is certainly reasonable that the first biography of a Christian leader will be positive towards his life and work, but it ought to be possible to probe strengths and weaknesses, to acknowledge legacies that need to be built upon and improved in various ways, to acknowledge sins that persist alongside the Saviour who saves. The author quotes from many memorial tributes written soon after Morris’ death (in 2006), but these, quite rightly, are expressions of thankfulness and written by close friends. As historical sources though, they ought to be weighed more critically than they are here. I noticed only a couple of typos (Tyndale House is at 36 Selwyn Gardens, not 16, p. 47 [up-date: see comments below]; and I am pretty sure that Peter Adam’s funeral sermon entitled ‘By grace, by Christ, by blood, by faith’ was not on Romans 3.9-16 but more likely on Rom 3.19-26, p. 235); there is a bibliography of Leon Morris’ books (but not a complete bibliography of all his published work). All in all a very enjoyable book to read, highly recommended. Septuagint Studies is a burgeoning field of research that has seen the recent publication of modern language translations, lexica, monographs and series on a wide range of topics. Two major projects that are currently underway are the Society of Biblical Literature Commentary on the Septuagint (SBLCS) and the Greek Psalter Project (GSP) sponsored by the Scholars Initiative, which is the research arm of the Museum of the Bible (Washington, DC). The textual focus of this course will be on the Septuagint Psalter, and the lecturer will be Dr. Cameron Boyd-Taylor, who serves both as the co-editor of the SBLCS series and as a supervisor for the GSP. Students will study the translation technique, language and ideology of the text with a view to understanding the larger methodological and interpretive issues, and they will be introduced to the foundational principles and methodology of the above-mentioned research initiatives. For more information, click on the image above or email acts +at+ twu.ca. Attendance via online streaming is possible. Congratulations to Drew Longacre for winning our book giveaway! Thanks to all who participated. I have taken note of your many suggestions for future interviewees. Now here is part 2 of our interview with Hugh Houghton in which we learn of his secret life as a Disney star! Part 1 is here. You work at the Institute for Textual Scholarship and Electronic Editing (ITSEE) where “computer methods are now fundamental to every stage of the editorial process.” The emergence of digital texts has been hailed as “revolutionary,” something that frees “writing from the frozen structure of the page” (source). From your vantage, how important are electronic texts to how we conceive of texts, how we use them, and how we edit them? It has become something of a truism, but I do agree with those who say that the advent of digital media is likely to have an even greater impact on our approach to texts than the invention of printing. Of course, in textual criticism, one of the principal benefits of digitisation has been the imaging of primary sources, meaning that we can read the pages of manuscripts from across the world without even travelling to the nearest library. But electronic text itself offers an even more powerful research tool in terms of the questions we can ask, from examining a particular copyist’s spelling habits or use of abbreviations to reconstructing phylogenetic relationships for an entire textual tradition. First of all, though, we have to encode texts in such a way that we can use them to answer these questions, and no doubt others which we haven’t yet thought of. The adoption of editing software such as Peter Robinson’s COLLATE has completely changed the way we approach the task of editing the New Testament: no longer is the focus on the painstaking assembly of a critical apparatus, summarising as much information as economically as possible. Instead, the software allows us to generate a collation automatically from transcription files, and the emphasis is now on preparing an accurate full-text electronic transcription of each witness which can then be explored and re-used in the ways I mentioned. The problem was how to interpret what is in the frame on the picture, a so called monocondyle, a conventional scholarly term formed from the classical Greek adjective μονοκόνδυλος, “having but one joint” (said of the thumb). The term designates a word or sentence written without lifting pen from paper. Monocondyles occur in Byzantine MSS from the 10th century. I could make out a part of it, but in the end I had to consult a specialist in Byzantine palaeography. What do you think it reads? Write your interpretation in the commentary area. 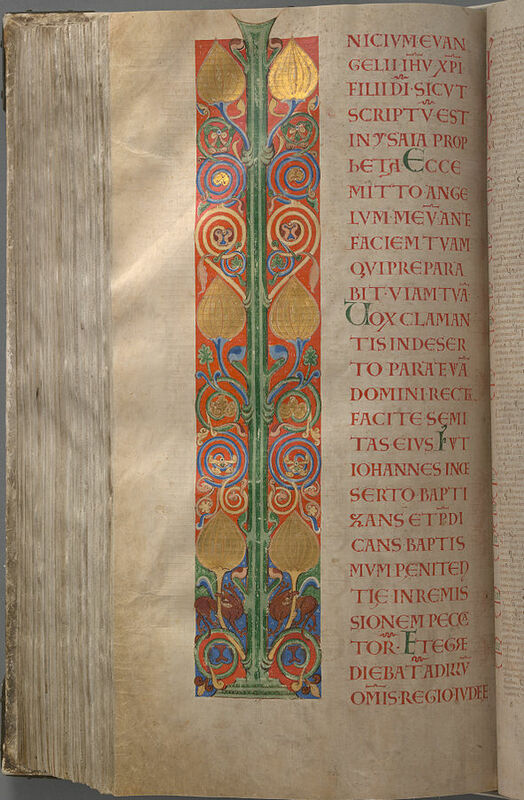 For a more elaborate example, see this page in Paris, BnF, MSS Occidentaux, greg. 2988. Oikonomides, N. (2000) “La re´introduction des lettres majuscules dans l’e´criture minuscule et les origines du monocondyle.” In G. Prato, ed., I manoscritti greci tra riflessione e debattito. Atti del V Colloquio Internazionale di Paleografia Greca, Cremona, 4–10 ottobre 1998, vol. 1: 239–48. Florence. Hans Förster (University of Vienna) has published a fascinating article in ZNW on a supposedly incomplete sentence in John's gospel, demonstrating how a scholar can integrate philology and textual criticism in a number of useful ways (manuscripts, commentaries, versions and basic grammar all come into play). I am very grateful to the Austrian FWF for supporting this work and also for making the article freely available online! I have highlighted the key phrase below and also link to the German PDF. Parts of John 8,25 – the words of Jesus – present serious problems for interpretation. They seem to be an incomplete sentence. Therefore, their meaning is elusive and it is uncertain how to translate them. These problems can be solved if close attention is paid to the evidence of Biblical manuscripts for this very passage. If these manuscripts are used for constructing the text, there is no incomplete sentence at all. John 8,25 becomes a crucial part of the discussion between Jesus and his Jewish opponents in chapter 8 of the Gospel of John. Hans Förster, "Überlegungen zur Grammatik von Joh 8,25 im Lichte der handschriftlichen Überlieferung" ZNW 107.1 (2016):1–29. It is a real pleasure to continue our ETC Blog interview series with someone who is no stranger to our regular readers. Dr. Hugh Houghton is Reader in New Testament Textual Scholarship at the University of Birmingham (UK) and Deputy Director of the Institute for Textual Scholarship and Electronic Editing (ITSEE) there. He is currently working on the volume of John as part of the IGNTP/ECM collaboration as well as the letters of Paul. This month he has a new book out on the Latin NT which we’re giving away thanks to OUP. Without further ado, here’s Hugh. PG: First things first. Can you tell us how to pronounce your name? Is it HOW-ton or HOE-ton? HH: Thank you for asking. It’s HOW-ton, although HOR-ton is a very common pronunciation too in the UK, and I sometimes also hear HUFF-ton. As this is a blog on textual criticism, we could explore the relationship of the different pronunciations to textual variation: when my surname is misspelt – which is fairly common – is that because the copyist voiced it in their head and substituted a different spelling for the text of their exemplar? Is it just replacement by a simpler or more common form? Were they copying to dictation? And then what about the visual or orthographic influence of my first name, with the potential for interference, haplography...? You’d better ask the next question or we’ll never finish this interview! Can you tell us about what led to your current interests in the text of the New Testament and specifically the Latin and Patristic evidence for it? I’ve always enjoyed languages, particularly the historical relationship between them. I was fortunate to study both Latin and Ancient Greek at school, and then read Classics at university. In my final year, my courses included Medieval Latin, when I first visited the university library to see a manuscript (the Cambridge Songs), and the history of the Greek language up to the fall of Byzantium. I wrote an undergraduate dissertation on the Acts of the Christian Martyrs as linguistic documents. My Master’s degree, although still in Classical Linguistics, involved studies of Tertullian’s language and the Greek Apocryphal Acts of the Apostles. A few years later, I took a second undergraduate degree in Theology as part of my ministerial training, which included a module on the Gospel according to Mark with Keith Elliott. So when Philip Burton (who had taught me as an undergraduate, while he was completing his doctorate) and David Parker contacted me to see if I would be interested in joining them to work on the Vetus Latina Iohannes (an edition of the Old Latin versions of John’s Gospel), I jumped at the opportunity. 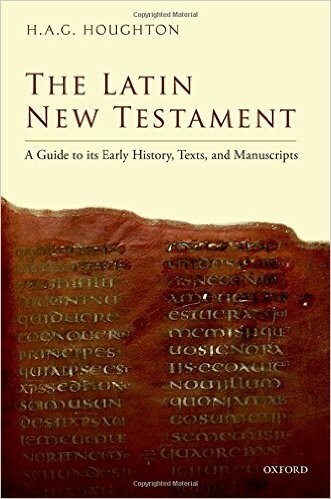 To celebrate the release of his book next week, Oxford University Press has kindly agreed to give away a copy of Hugh Houghton’s The Latin New Testament: A Guide to its Early History, Texts, and Manuscripts. You can enter to win in any of the ways listed below. The contest closes at midnight (EST) on February 24th. We’ll announce the randomly-chosen winner in part 2 of our interview with Hugh. Update: congrats to Drew Longacre who was the randomly-chosen winner! 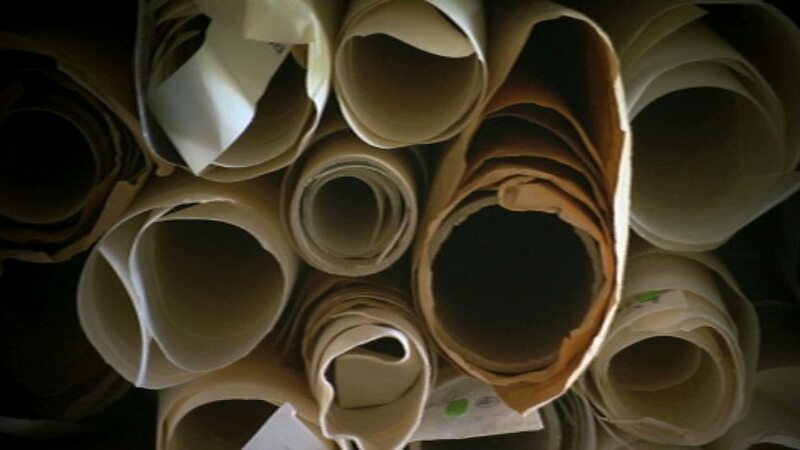 Here’s a video by the BBC on the production of vellum today in England. It is important as it is the form in which the main laws are recorded in the UK. 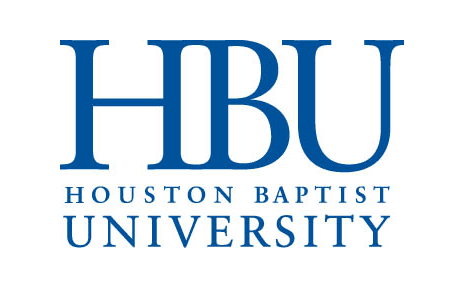 Mentioned earlier on the blog, HBU’s annual theology conference is happening next weekend. There are lots of text critical papers given this year’s theme of “Erasmus’ Bible and the Impact of Scripture.” If you’re in the area, don’t miss it. What could be better than textual criticism and Texas BBQ? 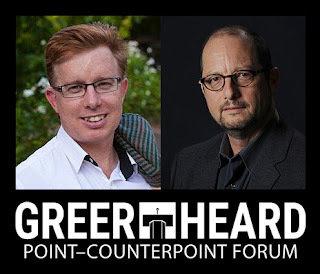 I’m not sure if they still count as blog contributors, but later today Mike Bird and Simon Gathercole will be participating in the annual Greer-Heard Point-Counterpoint Forum. 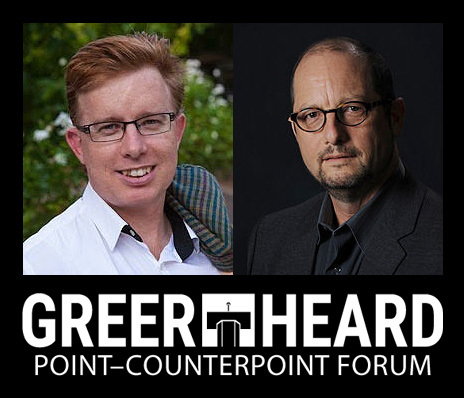 The topic this year is “How Did Jesus Become God?” with other participants being Bart Ehrman, Jennifer Knust, Larry Hurtado, and Dale Martin. According to the website, there will be a livestream starting at 7:00 pm (CST) tonight. The debate, of course, revolves around the publishing coup that was Bart’s recent book on the subject and Bird’s response volume. Judging by the number of Amazon reviews, both books sold quite well. You might remember that one of the earlier such Counterpoint Forums tackled the reliability of the NT text which was later published by Fortress Press and included contributions from some ETC bloggers. Now back to your regularly scheduled TC work. There is a post about the textual transmission of the Bible at the (US) Gospel Coalition website: Debunking Silly Statements About the Bible. 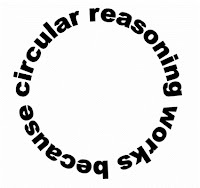 Unfortunately all around (for the author, Greg Gilbert, his book, the Gospel Coalition) this post contains a number of Silly Statements about the Bible. Christians who want to defend the Bible have a responsibility to know what they are talking about. Here are some quotations from the first half, with brief comments. I think if we find a biblical manuscript on paper we can be 100 percent certain it is not the original. 2. even though we don’t have the originals, we do have thousands of other pieces of paper that contain original-language text from each book of the Bible—about 5,400 when it comes to the New Testament. These go back to the third, or second, or even (perhaps?) to the first century. 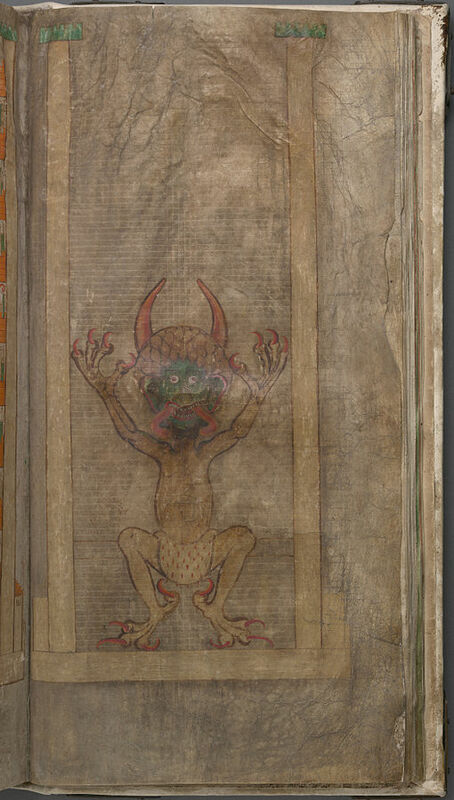 (just stepping over the ‘pieces of paper’ thing going on here) I think that it is seriously misleading to leap from a figure like 5,400 manuscripts to then say ‘these go back to the third ... century’. These 5,400 manuscripts do not go back that far. Less than 1% of that 5,400 figure goes back to to anything like the third century (or earlier, although clearly at this point none of them go back to the first century). 3. After all, the New Testament was written in the mid-to-late first century, and the earliest copies we have are from about the years 125 to 200. At best, then, there’s a gap of some 45 to 75 years between the originals and our earliest copies. This is also potentially misleading. If we date P46 to around AD200 then we are looking at more like 140-150 years for the Pauline letters. For Mark we might have a gap of 200 years. For John perhaps 45-75 years works, but not for any other portion of the NT. Generalisations are not helpful. 4. 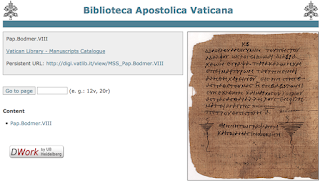 One fascinating example is what’s called the “Codex Vaticanus,” a copy of the New Testament originally made in the fourth century, but which was re-inked in the tenth century so it could continue to be used. Do you see what that means? Codex Vaticanus was still in use 600 years after it was originally made! Therefore the claim that all we have are “copies of copies of copies of copies” of the originals is far overwrought. Indeed, it’s well within the realm of possibility that we have in our museums today copies of the originals, full stop. A better example would be a manuscript (e.g. Sinaiticus) which shows more evidence of continuous usage than does Vaticanus. Nothing in this suggests that we have immediate copies of the originals in our museums, and as far as I am aware no one has ever argued such a case in any scholarly publication. Wishing doesn’t make it so. 5. Also, when you consider the gap between the originals and first copies of other ancient works, you can see just how small this “gap” for the New Testament really is. For example, for Thucydides’s History of the Peloponnesian War, we have exactly eight surviving manuscripts, the earliest of which is 1,300 years removed from the original! I really wish people wouldn’t keep saying this sort of thing. It is nonsensically ill informed. In fact there are 99 early mansucripts of Thucydides, mostly papyrus, some of which go back to the third century BC, dozens from the first and second centuries (LDAB). 6. One scholar has asserted there are, astonishingly, up to 400,000 variants in the New Testament! There are several things to say about this charge. First, the manuscripts are not in fact riddled with variants, and that 400,000 number isn’t nearly as scary as it seems, even if it’s accurate. The scholar who used that number wasn’t just looking at the 5,000 pre-printing-press, original-Greek manuscripts we have, but also at 10,000 other manuscripts in other languages, and then on top of that another 10,000 or so instances where people quoted the New Testament during the first 600 years of church history! Put it all together, and what you’re really talking about is 400,000-ish variants across some 25,000 manuscripts and quotations covering 600 years. But at the far upper end, this comes out to . . . only about 16 variants per manuscript. To put it nicely, that’s really not many. I’m really not sure where to start on this. It is nonsense from beginning to end. Up-date: I don’t know who this “one scholar” is, there are several possible candidates. It is not particularly astonishing, but without any careful definition of “variant” it is not even clear what we are talking about. It is not the case that these relate to 10,000 other manuscripts in other languages (although being manuscripts they will have variations) since the languages tend to be cited as a unit in critical discussions. The purported logic of dividing 400,000 by 25,000 and coming up with only 16 variants per manuscript is completely vacuous. It suggests a lack of understanding of how the standard critical editions actually work, and no one who works with manuscripts would think like this. Do we forget that one single manuscript, Codex Sinaiticus, has 23,000 corrections reflecting within itself at least 23,000 “variants”? Of course we should define that term whenever we use it in that context. For the only reputable published discussion of the subject see Peter Gurry, “The Number of Variants in the Greek New Testament.” New Testament Studies 62.1 (2016): 97-121. He certainly was not concerned with variants in versions and quotations in church fathers. 7. Finally, it’s not as if the variants in all those 25,000 manuscripts just show up everywhere; rather, they tend to cluster around the same few places in the text over and over again, which means the number of actual places in the New Testament really at issue is surprisingly small. The point is that when you think about it beyond the soundbites, you don’t get a picture here of a mountain of copies with so many variants that we can’t make heads or tails of it. Not even close. On the contrary, you get a picture of a remarkably stable transmission history for the vast majority of the New Testament, and a few isolated places where some genuine doubt about the original text has given rise to a relatively large number of variations. This is so wrong. I doubt this person has ever read a manuscript. Up-date: Remember that there aren’t actually 25,000 manuscripts (since even on the figures provided there are only 15,000 manuscripts and another 10,000 references in church fathers [where these figures come from I do not know]). The claim that textual variants within the New Testament “tend to cluster around the same few places in the text over and over again” is not supported by any sort of reality. Open the standard critical edition, some pages have more variants than others, some passages have more variants than others, but by and large variants are spread over the whole text of the Greek New Testament, from Matt 1.3 (whether to read ZARA or ZARE) to Rev 22.21 (whether to read AMHN at the end or not), there is no real clustering in the sense that only a few places within the New Testament text have variants - every page normally has dozens of variant readings cited with manuscript and versional support. How many passages are really “at issue” in the sense of textually uncertain is an interesting question and could be answered in different ways depending on the scholar or group of scholars (in NA28 there are diamond readings indicating that the editors are uncertain; there are many differences between different editions). Uncertainties exist even in relation to some questions of theological significance. And finally, to say that there are “places where some genuine doubt about the original text has given rise to a relatively large number of variations” has things the wrong way around: it is the variant readings in the manuscripts that give rise to our genuine doubt about the original text. To put the matter positively, the Byzantine text as defined by the ECM agrees with the editors’ reconstructed text in over 93% of variant passages in the Catholic Epistles. That’s quite a lot. You could even say that your NA28 is 93% Byzantine in the Catholic Epistles if you were so inclined. In any case, this high level of agreement is what led the editors to conclude that the Byzantine text is “an important witness to the early text.” Hence the re-evaluation for the ECM2 of all places where the Byzantine reading differed from the initial text of ECM1 (see ECM2, p. 34*). *The stats are from the ECM2 supplement, pp. 10, 13, 15, 17 and Gerd Mink, “Contamination, Coherence, and Coincidence,” p. 147 n. 15. The portrait was intended to remind the viewer of sin and evil. It is opposite a page with a representation of the Heavenly City and the two pages were deliberately planned to show the advantages of a good life and the disadvantages of a bad one. The website has lots of useful information and includes all the photos here. There are some impressive initial letters (e.g., Mark’s Gospel) and other decorations throughout. Interestingly, the only human represented appears to be Josephus. You can download high resolution images from Wikimedia Commons here. Update: there’s more good info linked in Tommy’s post from 2007. As a follow-up to my post about text-types from last week, here is an example of how our definitions of texts can influence our thinking about textual criticism. It matters particularly when it comes to comparing one “text” to another. Several other questions are left unanswered by the Majority text approach as well. Statistical probability of documents simply cannot explain why no distinctively Byzantine readings are identifiable in the Greek manuscripts, church fathers, or version from the first several centuries—certainly some remains would have been left, even if the manuscripts were in constant use. If the Majority text most accurately reflects the original, we would expect some traces of it chronologically close to the original. These significant obstacles to the Majority text approach still have not been convincingly overcome by its adherents (pp. 91–92 n. 3). To illuminate the problem, let’s consider how the Editio Critica Maior (ECM) defines the “Byzantine text.” You have to read it very carefully, but the ECM actually has two definitions. In the introduction (§3.1) we read that “the term Byzantine or Koine text refers to the form of text defined by those readings which are attested by the majority of the manuscripts and differ from the established text” (emphasis original). The supplementary volume gives a complete lists of just these readings for each book of the Catholic Epistles (pp. 10ff). But the ECM also has a second, more implicit definition. On the same page (p. 10) of the supplementary volume we read about “the undivided (ungespaltene) Byzantine text” which differs from the initial text in only 61 of about 700 places in James. In the editors’ words, this undivided Byzantine text is, “apart from these 61 passages, an important witness to the early text” (p. 10; emphasis mine). So we have two definitions: (1) the Byzantine text as all the shared readings found in the majority of Greek witnesses; and (2) the Byzantine text as that set of readings found in these same witnesses which differ from the initial text. The first entity is an important witness to the early text whereas the second is defined in distinction from essentially that same early text. Now the problem should be obvious. 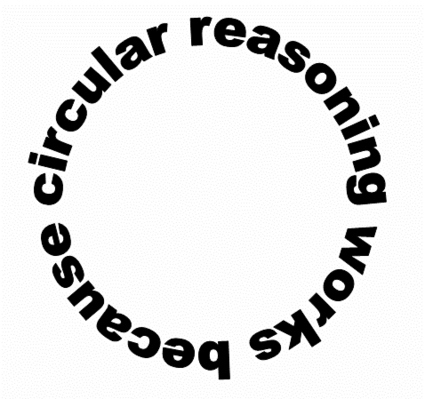 An argument like that of Porter and Pitts risks circularity on this second definition and it is simply false on the first. There are hundreds of readings found in Byzantine manuscripts that are also found “chronologically close to the original.” In fact, according to the ECM, there are over 630 readings just in James that are the original or at least very close to it (depending on how you identify the initial text). Now, perhaps Porter and Pitts have a definition of “distinctively Byzantine reading” that isn’t circular. From what they’ve written we simply don’t know because they don’t define their key term. And that’s just the problem. Good arguments about the history of the text can only be made where we have clarity about what constitutes the textual entities—whether text-types or otherwise—that we are trying to relate to one another. Porter and Pitts have two texts they relate (“original” and “Majority/Byzantine”), but since they don’t define them, the relationship they propose is meaningless. This isn’t to pick on Porter and Pitts. They just provide a good illustration of the problem of not defining the texts we claim to relate to one another. The Fragmentarium Fellowship has been established to support research on medieval fragments. Fragmentarium is an international digital research laboratory for medieval manuscript fragments, which collaborates with about 15 major European and American libraries. This international scholarly network will enable libraries, collectors, researchers and students to upload medieval manuscript fragments and to describe, transcribe and assemble them online. The grant will allow a scholar (postdoctoral candidate) to spend a period of minimum two to three months in St. Gallen, with the goal of carrying out a case study on the biblical fragments preserved at the Stiftsbibliothek St. Gallen. The fellow will be responsible for this case study. He/she will have to document his/her research and make it available to Fragmentarium through the publication of an article. The fellow will also have to use the digital application which is now being developed by Fragmentarium in order to test its possibilities. The fragments on which the research will be carried out will be uploaded on the Fragmentarium website in close collaboration with its team. The fellows of Fragmentarium will participate in two workshops. The first one will bring together the 2016 Fragmentarium fellows and will take place between June 6th and June 8th, 2016 in Fribourg. The second, during which the results will be presented, will take place in 2017. The research must be done between June 2016 and June 2017. The article will have to be submitted after the second workshop. The candidate must be affiliated to a non-Swiss institution. He/she must be employed as a researcher in his/her home country before, during and after the fellowship. He/she may be DPhil or D.Theol. as well as a specialist in at least one of the following fields: edition, palaeography, codicology, latin, biblical sciences. Depending on the destination, varying lump sums will be given to cover travel expenses. For room and board expenses, the support will range from CHF 3000 to CHF 3500 per month. Travel and living expenses for the workshops will be added to this sum. Applications should be submitted (with curriculum vitae, a description of the research project with 10’000-12’000 signs, and planning) by February 28th, 2016, via email to: fragmentarium@unifr.ch, Sylviane Messerli, Université de Fribourg, rue de l’Hôpital 4, 1700 Fribourg. Luke 14:27 And whoever does carry their cross and follow me cannot be my disciple. 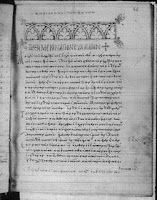 This is the text produced by the first hand of Vaticanus, though I am glad that eventually the missing ‘ου’ was added above the line. Incidentally, the correction is not noted (yet) in the transcription on the NT.VMR.